I’m not a big celebrator of Valentine’s Day. I just think rather than reserve one day a year to celebrate your love for someone, you should do it the other 364 days a year. And take one day off – love can be exhausting! 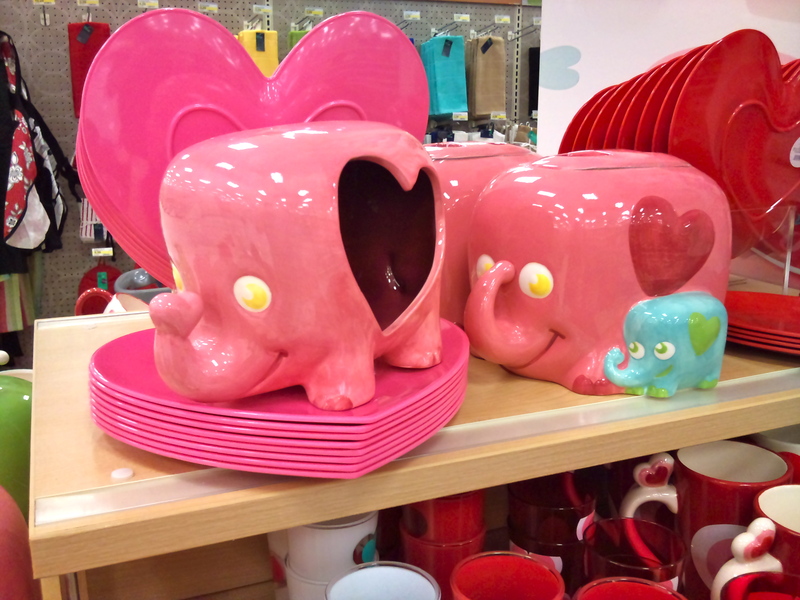 But even though I think Valentine’s Day is silly, I think these are super cute! I saw them at Target today. The one on the right is a candy dish, and the other is a cookie jar. I don’t think my blurry picture does them justice.